A SIGNATURE ELEGANT DESIGN FROM NZXTThe H500i showcases the signature design of the NZXT H-Series cases. You can easily build a powerful system with plenty of options for storage and cooling due to the design of the elegant all-steel build, which includes the iconic cable management system to streamline building and upgrading your system. The H500i includes two Aer F* fans and a seamless tempered glass side panel to showcase your build. PREMIUM BUILD WITH COLOUR VARIANTSThe H-Series is an elegant all-steel construction design and is shared across all sizes in the new H-series which come in four different colour variants to match your taste. The tempered glass panel and signature PSU shroud with an iconic cable bar are purposely designed to showcase your beautiful builds. 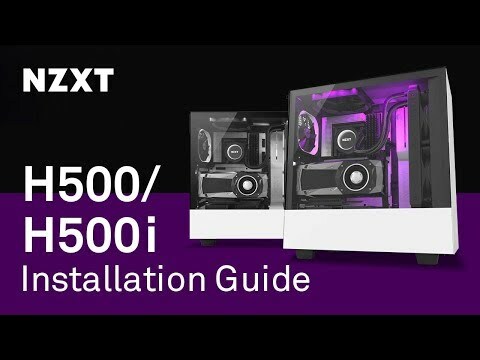 All-New Cable Management System NZXT have designed a new cable routing kit with pre-installed channels and straps on the back of the motherboard so that you are not spending as much time doing cable management. There is also an upgrade to NZXT’s signature cable bar as it can now be adjusted. The H-Series layout ensures you’ll enjoy building your PC as much as you enjoy gaming on it. FOR BOTH ALL IN ONE AND CUSTOM LOOP WATER-COOLING With the H500 series, NZXT have simplified the process of water-cooling installation: a front drop-in bracket is designed for radiators up to 280mm, and for those who have custom-loop systems there is an integrated reservoir mounting system in place. Aer F 120mm fans are included for optimal internal airflow, front and PSU intakes are fully filtered to help preserve your system’s clean looks. UNIQUE RGB CUSTOMIZATION The H500i’s unique Smart Device includes features from the HUE+ and GRID+ V3 digital controllers, allowing for effortless control of RGB lighting and fans through CAM software. You don’t even need to waste time checking compatibility, installing, or manipulating physical buttons. The out-of-the box, elegantly controlled CAM software is all you need allowing you to customize lighting which is streamlined with two integrated and individually addressable RGB LED strips. FOR UP TO 40% REDUCTION IN NOISE LEVEL Using an on-board noise sensor, the Adaptive Noise Reduction Technology is used to measure and learn the specifics of your system to find the ideal balance between fan speed and cooling. With up to a 40% reduction in fan noise level, you won’t need to waste time designing custom fan curves. Leveraging machine learning to improve its results, this will ensure your fan settings are always optimal, even if you change hardware. OPT FOR VERTICAL MOUNTING The H500i includes a simple to install and remove vertical mounting bracket for graphics cards, allowing you to showcase your build with a different view. *PCIe riser card not included. 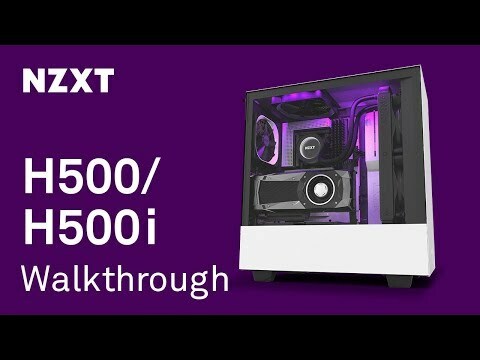 NZXT H500i, Red/Black, Mid Tower Computer Chassis, Tempered Glass Window, Smart Control, ATX/mATX/mITX, 2x 120mm Fans is rated 5.0 out of 5 by 2. Rated 5 out of 5 by themmings22 from Amazing value case The case is incredible. The best I've owned. The RGB lights up the whole case and the OEM controller works very well, you can change all the fan speeds and monitor all hardware. The cable management is the best i've ever dealt with. Rated 5 out of 5 by RyanC from NZXT H500i I've not really been interested in the NZXT cases but a friend of mine picked this for his build. The case it self was a nice small case with the glass panel, the cable manage that comes with it was more than helpful, the added LEDS and fan controller box was even better. With a RGB AIO, RGB Memory and motherboard this once built looked an absolute delight. 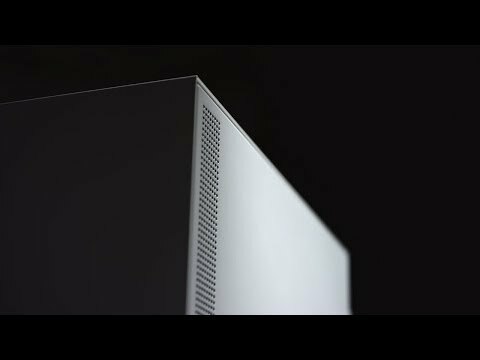 For anyone looking for a small case that isn't too expensive then this would be ideal. Only issue i had was the Drive cage at the bottom. When you tried to undo the screws to release this the screws were that tight that it started to strip the screw head, luckily we found another way. Do you get RGB fans or lighting strips with this case?